Mon. 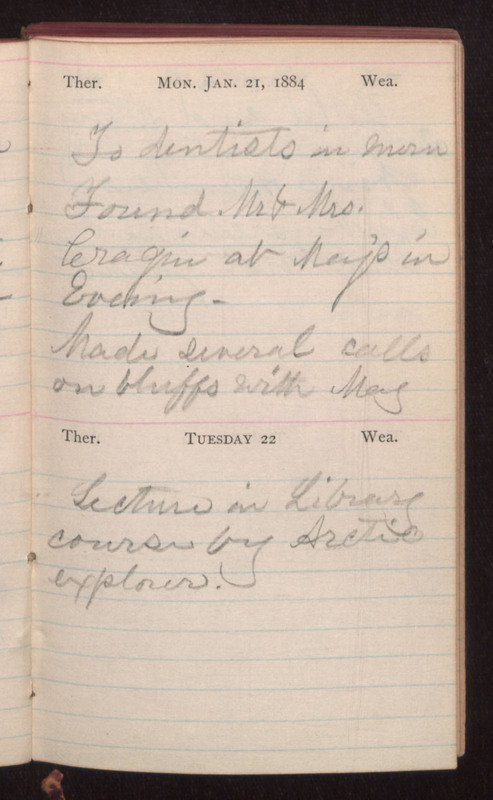 Jan. 21, 1884 To dentists in morn Found Mr & Mrs Cragin at May's in Evening. Made several calls on bluffs with May Tuesday 22 Lecture in Library course by Arctic explorer.